Guided wild turkey hunts and calling services in northwest n.j.
FULLYGUIED DEER HUNTING. WITH 100 DAYS OF POTENTIAL DEER HUNTIG. QUAIL AND PHESANT OVER POINTERS. BEAC BUGGY SURF FISHING. STIPERS BUES WEEKS. We specialize in hunting all types of waterfowl in south Jersey. 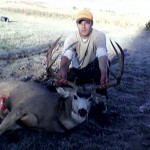 If you are a New Jersey Hunting Guides and would like your service listed here, use our Submission Form. It's Free!